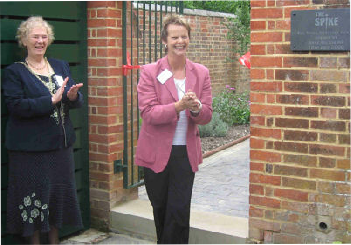 The 18th July 2008 saw the second great Spike opening of the year when MP Anne Milton opened the Spike Heritage Centre. Yet another great afternoon of celebration at the Spike where the Charlotteville Jubilee Trust hosted one of their most lavish events of the year to celebrate the completion of the Spike refurbishment. 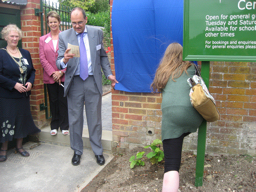 A breezy day meant a one man and a girl job to keep the covers on the plaque!